Arthur James Weatherall BURGESS R.I., R.B.C., R.O.I., R.S.M.A. 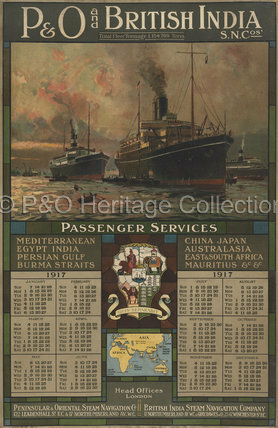 The painting of 'Colombo Harbour', featured on this poster shows P&O's MEDINA (1911) with a B.I. ship in the distance.